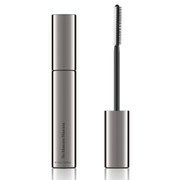 LashFood Conditioning Drama Mascara gives volume and length to lashes for a dramatic finish all while conditioning roots of lashes to transform frail and brittle lashes to become healthy and strong. This breakthrough natural formula of biotin and arginine (natural amino acids) and natural oriental herb medicine complex extracts promote naturally healthy lashes. Uniquely formulated by cosmetic scientists. Dermatologist tested. Smudge-Free. Mascara and lash enhancer in one. Wiggle brush starting from the root of lashes and sweep upward in smooth strokes. Re-apply if desired. For best results, use with LashFood Natural Eyelash Conditioner and LashFood Conditioning Liquid Eyeliner. 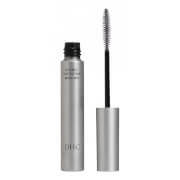 It goes on without clumping, darkens & lengthens the lashes and stays all day. I use all 3 products - the serum, primer & mascara and it has made a world of difference in my lashes. Highly recommend. I've always had problems with mascara smearing the bottom of my eyes, making me look like a panda after few hours of applying. I've been using Dior's Show mascara until I found this one. This mascara is amazing. Not only is makes my lash look full, curly, and long, it also doesn't smear. Lasts all day long without reapplying and easy to wash off. No more worrying about panda eyes! Very good, long lasting mascara! Much better than some more expensive, high end mascaras. Lengthens and separates lashes without clumping. Doesn't flake or cause brittle lashes. Easily removes with eye makeup remover-water is not enough. 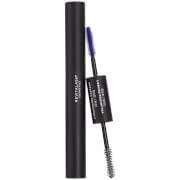 This mascara is not completely natural for your lashes; the ingredient list on the website did not include Propylparaben (a synthetic/chemical preservative) that is listed on its box. My lashes look great! I've used this every day since I got it and my lashes are longer and thicker.